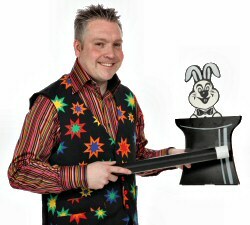 David presents delightful entertainment for any event where children are present whether it be a Birthday Party, End-of-term treat, Christening, Wedding or Seasonal Promotion. 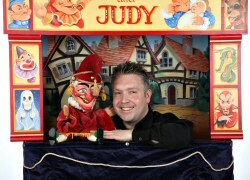 With shows suitable for any venue, be it private house, community hall or school classroom, David offers a mixture of Puppets, Magic and Punch and Judy as well as organising party games and making fascinating balloon animals . will ensure that the Birthday Child becomes a featured Magician's Assistant. There are occasions when a child is shy and would be uncomfortable being singled out. David is quick to spot such situations and will never press a reluctant child. The children's enjoyment is his sole consideration. 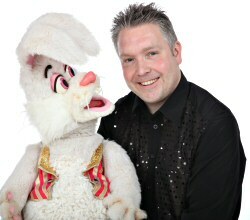 Children's entertainment is not just being skilled in magic and puppetry but also calls for the ability to register with children, the need to appeal to them on their level and yet still maintain discipline and this is where David's great experience shows.